27/03/2015 - En l’article de Katherine Haas per Opelika- Aurburn news; veiem la intervenció de Barack Obama en la seva segona visita a Alabama aquest mes; on tracta el tema dels “payday loans” o préstecs ràpids fora de la banca comercial, que assolen als ciutadans que tenen dificultats per accedir a finançament dins del sistema bancari, oferint-los préstecs amb interessos abusius que molts d’ells no poden retornar. Gary Fuller alcalde d’Opelika parla de l’ “Educació Financera” com a arma per combatre l’abús d’aquests productes. The energy was palpable in the Arthur Shores Fine Arts Building at Lawson State Community College in Birmingham Thursday afternoon, as an eager crowd sat on the edge of its seats anticipating President Barack Obama’s second visit this month to Alabama . Just three weeks after Obama stood in front of the Edmund Pettus Bridge in Selma to speak in commemoration of the 50th anniversary of Bloody Sunday, the president addressed a second group of Alabamians — not about the history of civil rights, but on the right of every American to have a “fair shot” at getting ahead financially and the need to reform predatory lending practices. 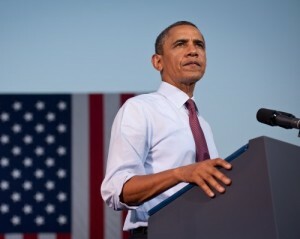 According to Obama, one issue that is prohibiting some Americans from being able to free themselves from a “vicious cycle of debt” and thus to promote their socioeconomic status has to do with the practice of payday lending, which gives consumers the opportunity to get short-term loans accompanied with extreme interest rates — rates that can be up to 456 percent annually in Alabama. Fuller said he believes people should learn how to best handle their money while they’re young. Obama explained that payday loans that are often issued to cover unexpected expenses, such as hospital bills or car repairs, can lead to a “catastrophic financial situation” for those unable to cover the high interest rates. “In reality, most payday loans aren’t taken out for one-time expenses; they’re taken out to pay for previous loans,” Obama said.